Thanks to LGC technology, the position of the battery (a 504Wh battery, water-resistant, with a life expectancy of 1000 charge cycles) guarantees a lower centre of gravity on the MIG, optimizing its weight distribution. This ensures stability and brilliant handling when it is time to negotiate obstacles, both down and uphill. 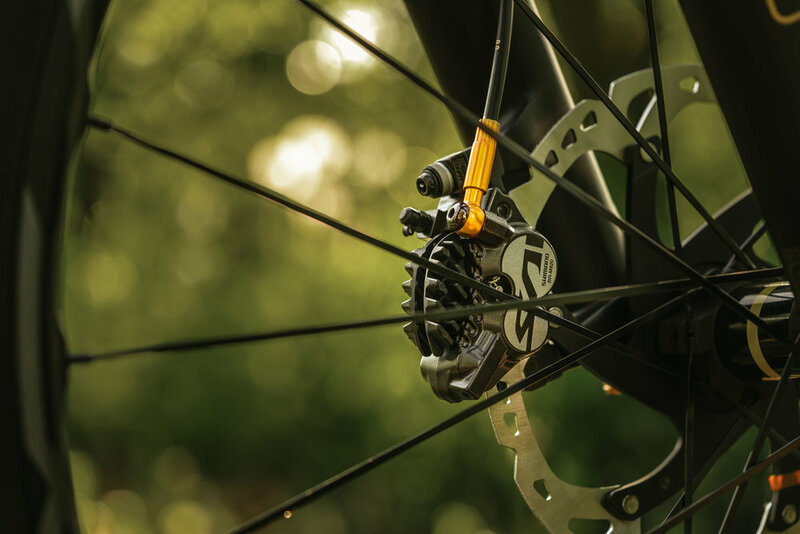 Thanks to the optimized connection between down tube, motor bracket and rear triangle, THOK engineers have managed to reach a high rigidity across the central sector of the frame, for outstanding handling and perfect responsiveness in any condition. A guard of ABS material, with a closing customized elastic band, effectively protects the Shimano battery against shocks. Easy to remove, it makes for simple battery charging even when it is still on the bike. All the MIGs will be delivered with two covers for the battery, one black and one red: an easy way to quickly change the look of the bike. 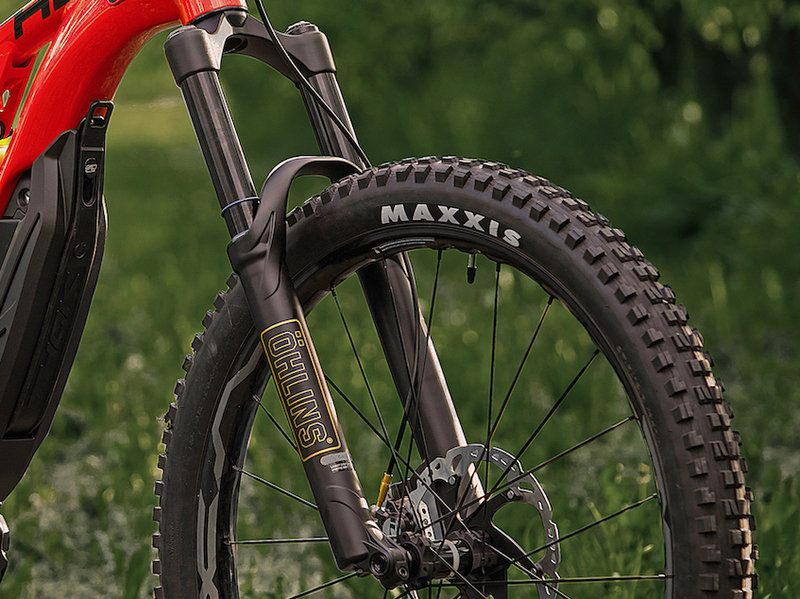 Thanks to the very short chain stay (450 mm), to the frame geometry (66° head angle and 73° seat angle), to the weight moved very close to the centre of the bike and to the 27.5” Plus wheels, MIG e-bikes offer great handling and maneuverability in downhill sections together with excellent traction in steep and rough climbs, where this quality combines perfectly with the power and progression offered by the Shimano motor. The MIG keeps the water bottle in its traditional position. This makes water bottle access very easy even during the rides without hydration pack. Exclusively designed for e-mtb. This is the smallest and lightest motor on the market, characterized by a very progressive power delivery. Thanks to its compact size, it allows the MIG to boast a very short chain stay and a Q factor (the distance between the outside of one crank arm and the outside of the opposite crank arm) exactly equal to that of a regular mountain-bike crankset, with the same natural feeling. It is compatible with Shimano Di2 shifting system (standard on the MIG Limited Edition range). It also boasts three levels of assistance (Eco, Trail, Boost) and a Power-Walk mode. Ohlins RXF 36 - coil fork - 160 mm travel, 36 mm stanchion. MAVIC E-XA Elite 27+ - Boost - Tubeless ready. Ohlins TTX22 - coil shock 150mm - Thok custom tuned. RENTHAL - Carbon FATBAR 800 rise 20 mm, oversize with 35 mm diameter and Apex 35 CNC stem oversize. SHIMANO Saint - with Ice Technologies rotor - 203 mm diameter front and rear.